We offer a traditional blended worship, that includes choral singing as well as modern worship songs. There is NO dresscode but most people wear business casual attire. There are opportunities for children to be involved in worship and we offer Childrens Church for ages K4-2nd grade following the childrens sermon. A Safe Sanctuary nursery is available for infants and toddlers. Click Here for more information on Safe Sanctuaries. COMING SOON SIMPLE WORSHIP @ 9:00 a.m.
All ages from college students to senior adults. 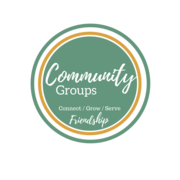 Community Groups (Small Groups) is all about building connection and community. We were never meant to go thru life alone. Life is better connected. Community Groups focus on three components 1. Fellowship 2.Study 3. Mission. 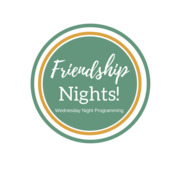 Community Groups meet on Wednesday Nights 6:15-7:15 p.m. Friendship Nights are designed around the entire family being involved. Programming spans all age ranges. Adult Small Groups provide an opportunity to build relationships and connect with other believers. Everyone is welcome to participate. 4:00 Bible Study Led By Kirk Loyless in the Family Ministries Building Grace Sunday School Class. Meal 5:00-6:15 Drop In $6.00 per person $20.00 family max please make a reservation by calling the church office. Adult Community Groups 6:15-7:15 p.m.
Students also have the opportunity to attend MYF Sunday evenings at 5:30 that are only for youth students.Students also have several different opportunities for retreats and mission projects as well as just fun activities that teach students the importance of doing life together. 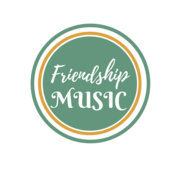 Friendship Kids is our children’s program which provides lessons and activities for kids of all ages. Our children’s program runs between the ages of newborn to the completion of 5th grade. We are currently using Orange curriculum and the kids are loving it. On Wednesday nights all of our children in K-5th meet together for a large group lesson with different games and interactives. On Sunday mornings our kids are split up into two small groups, one is K-2nd and the other is 3rd- 5th. Sunday mornings are a time to dive a little deeper into the lesson that was discussed the previous Wednesday night. For children newborn – 2 nursery is provided. There is a separate Sunday school class for our preschool kids 3-5 years old, and on Wednesday nights they just hang out and play in the nursery. We also provide children’s sermons and children’s church for kids 0- 2nd grade on Sunday mornings. As you can see there are several opportunities each week for our kids to be learning about Jesus, but each of them flows together so that they are becoming the child that God has called them to be. There are other fun events and activities throughout the year such as lock-ins and pool parties, but also retreats and life experiences that are all geared towards teaching children the importance of knowing and loving God. Please contact Gene Houston for more information. What time do worship services begin? We offer two services: Morning Service at 11:00AM & Wednesday Night Activities at 6:00PM. What does your worship service include? Our service includes: congregational greeting; pastoral prayer; tithes & offering; children’s message; special music; hymns; scripture reading, sermon and invitation to the altar (including occasional communion). You will see a bit of everything: some in their "Sunday best," others in "business casual and/or casual.” Most importantly, we look forward to seeing you! What type of people worship at Friendship? Our congregation includes individuals of all ages, from seniors to children. There is a place for each member of your family. Parking has been secured in the East lot of our church, as well as the parking places that run alongside the West side of our church building. We offer a variety of classes from toddlers to senior adults. Classes begin at 9:45AM and are held in the Sunday School building (behind our Sanctuary). Our Nursery is available on Sunday services and Wednesday evenings. The infant and toddler rooms offer age appropriate toys and visuals. There is always adequate supervision, including our paid caregiver.